All brownie edges, all the time! Mmmmm...Brownies! For those of you who love delicious, chewy edges, you're in for a real treat with the Edge Brownie Pan. 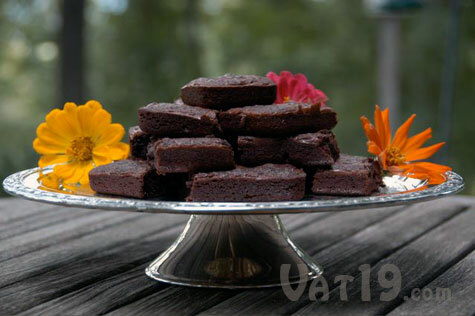 Its patented design ensures that every brownie has at least two chewy edges. 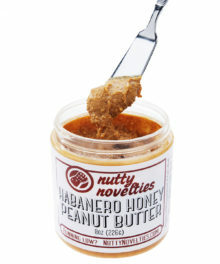 This translates into 70% more edge surface area than a traditional pan. The interior side wall design of the Edge Brownie Pan also ensures more evenly circulated heat and thus fewer burned edges and undercooked middle sections. Basically, this is the best brownie pan in the universe. Features non-stick coating, recessed handles for easy flipping, and sturdy cast aluminum construction. Made in the USA. The clever design of the Baker's Edge Brownie Pan guarantees at least two chewy edges per brownie. A standard brownie pan only offers four brownies per pan with two tasty "edges". So, if you or your family loves the edges, this is the only brownie pan you need in your kitchen. The heat in a regular brownie pan is concentrated on the edges. 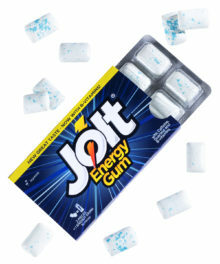 It doesn't circulate evenly to the interior of the pan. This is why a conventional brownie pan can produce tough, burnt edges and undercooked middle sections. What a waste of delicious brownies! 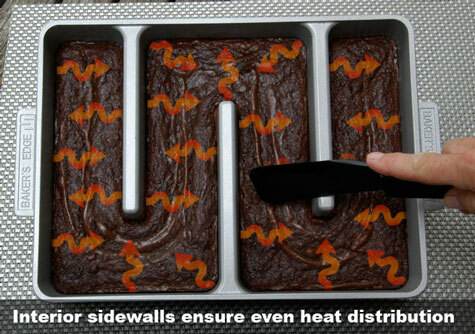 The Baker's Edge Brownie Pan, however, ensures a more even distribution of heat. Its interior sidewalls circulate heat evenly throughout the pan. This means that every brownie tastes like perfection. Regular brownie pans overheat the edges and undercook the center. 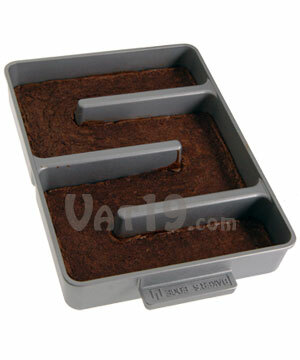 The Edge Brownie Pan evenly distributes heat throughout all brownies. 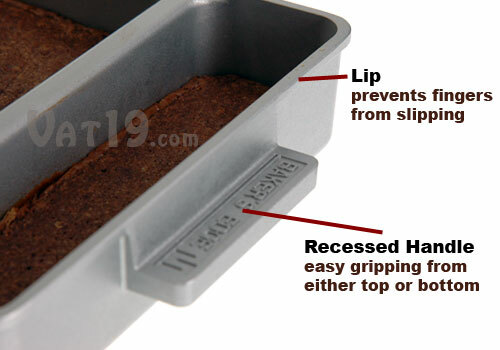 The handles of the Baker's Edge Brownie Pan are recessed to allow for easy gripping when turned upside down. There's also a lip on the underside of the pan to prevent your fingers from slipping and losing their grip. The last thing you want is a floor covered in brownie mix! 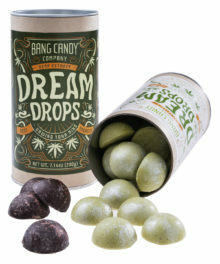 just a little more slip-proof than your average brownie pan. We just thought we would show a picture of tasty brownies. 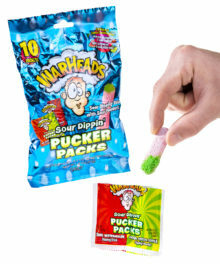 Don't they look delicious? 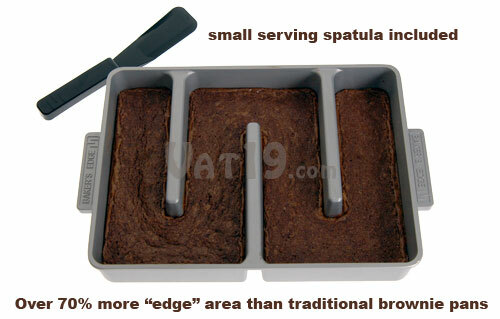 Methinks we're suggesting that if you buy the Edge Brownie Pan that you too can enjoy delicious brownies. Yummy brownies with two edges per piece!